Does your health plan make you feel like a second class citizen, languishing in a doctor’s crowded waiting room? Technology startups are trying to cure such doldrums—not by competing with medical insurance companies, but by offering add-on services they claim will make health care more effective or convenient. One of the startups making that pitch, San Francisco-based One Medical Group, announced today it raised $65 million to expand its national network of primary care doctors and to further develop the digital technologies that enhance their services. Individual patients who each pay a $149 annual membership fee to One Medical can make same-day appointments online, see a physician in the evening or on weekends, consult their doctors by phone or e-mail, and use a mobile device camera to send in photos of routine skin irritations. While patients may get in to see a doctor faster, membership in the network doesn’t eliminate the need for health insurance to pay for care. One Medical accepts Medicare, Covered California plans, many private insurance carriers, and direct cash payments for doctor visits and testing at its onsite diagnostic labs. One Medical bills itself as an affordable form of concierge medicine, which is the practice model of private physicians who charge patients a retainer fee in exchange for easier access and more personalized care. Boca Raton, FL-based MDVIP, a network of concierge doctors, estimates that its patients pay an average of $1,800 a year. MDVIP physicians serve about 600 patients rather than the 2,000 typical in a traditional practice, the company says. This allows the doctors to spend more time with each patient. One Medical works along the same lines, fast-tracking appointments and focusing on preventive care to help patients nip serious conditions in the bud so they can avoid costly treatments later. The company was founded in 2007 by its CEO, physician-entrepreneur Tom Lee. 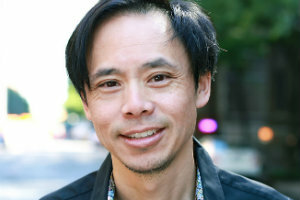 Lee (pictured above), who has an MBA from Stanford University’s Graduate School of Business, formerly led the design of mobile applications to guide drug prescribing for Epocrates, a San Mateo, CA-based company acquired by Watertown, MA-based Athenahealth (NASDAQ: ATHN) in 2013. Like MDVIP, One Medical allows members to consult any doctor in its network—either in the region where they live or if they travel outside it. The company opened its first doctors’ offices in San Francisco, and now has dual headquarters in San Francisco and New York. It has numerous practice locations in San Francisco and the Peninsula, as well as offices in New York, Chicago, Los Angeles, Phoenix, and Washington, DC. According to the company website, it hopes to add San Jose and Oakland to the list in early 2016. One Medical says it has added 80,000 new members over the past year, and also has more than 150 businesses as customers. Employers pay a discounted membership rate to sign up their staffers. The company’s $65 million funding round was led by J.P. Morgan Asset Management on behalf of PEG Digital Growth Fund II and AARP Innovation Fund, One Medical announced in a press release today. The round, which also included previous investors and new backers, brings the company’s total fundraising to $181.5 million. Most of One Medical’s physicians are primary care doctors for adults, but the company has been moving into pediatrics and family medicine. The doctors refer patients to specialists as needed. In addition to making appointments, patients can use the One Medical app or phone to reach an on-call medical team around the clock, seven days a week. The virtual care team can arrange for treatment of some common conditions. The app can also pull up a patient’s record of vaccinations and medications. With its new cash infusion, One Medical plans to expand the app to cover more treatment-related functions.